Welcome to St Joseph's Parents' Association Page. Here you will find information regarding upcoming events, meetings and general information about PA activities. If you have any suggestions of things you would like to see on this page or for events you would like us to consider please let us know. If you would like to join the PA and help raise funds to support our children, please contact any one of our members in the playground at drop off or pick up. A great time was had by all at the Christmas Fair, with Father Christmas, the Christmas Cafe, games, stalls and Christmas Craft. We raised over £500 which is a fantastic achievement! Another fantastic Halloween disco and a great start to half term and Halloween celebrations! Thank you to all who came to support our disco. We raised over £200 which will be added to the PA pot to benefit all of your children in school. Here are just a few pictures from a fantastic evening. 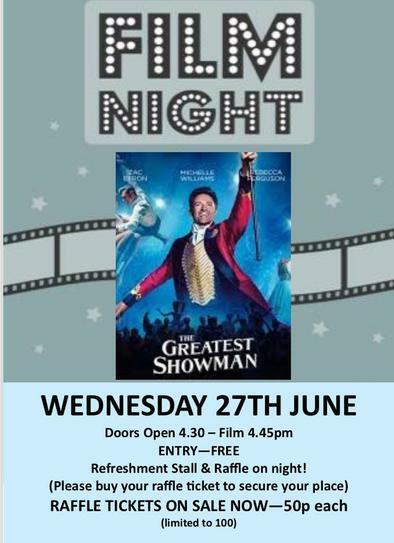 Many thanks to everyone to came along to our 'Greatest Showman' Film Night. Even though it was warm, about 30 children and their parents attended and we raised £80.65! A great evening. Thank you to all who came and supported us at our Summer Fete last weekend. Despite the rain showers, we had a great day and raised over £300! A big thank you to Mrs Riordan and Mrs Pietzka for taking part in 'Soak the Teacher' and getting wet through choice! Definitely a popular event with the children! Thank you to everyone who worked hard in arranging the event, those who donated items and those who helped on the day - everyone's time and effort is greatly appreciated. 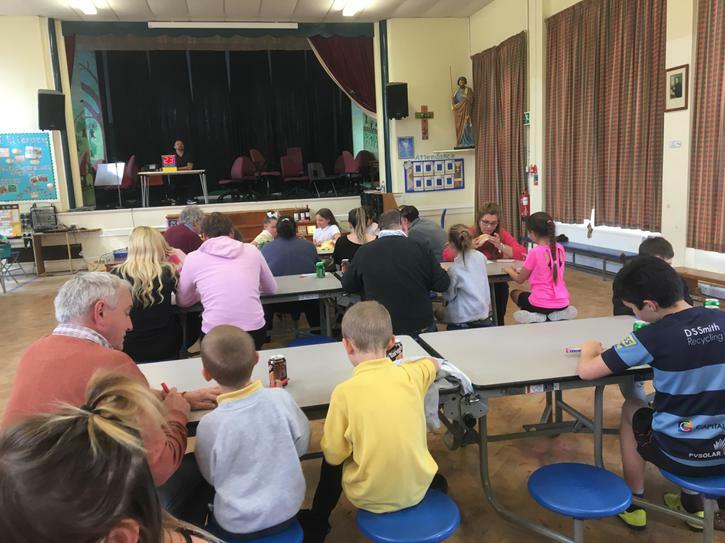 Family Bingo was a great event and thoroughly enjoyed by all who attended. If you didn't join us, you really missed out. The children and adults played separate games and prizes were given to 'line' and 'full house' winners! 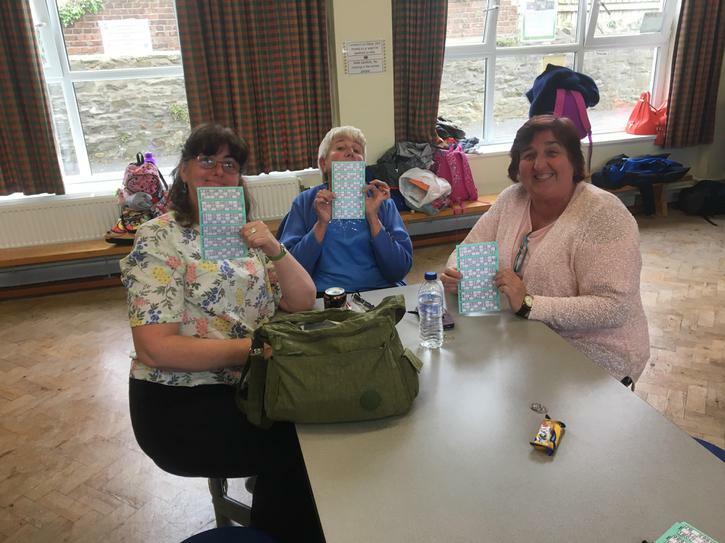 A huge thank you to everyone who helped and supported this event and a special thank you to our 'Bingo Caller' - Stuart Ekstrom-Gabb who really made the evening! Thanks also to St Joseph's Social Club for the loan of their bingo machine! 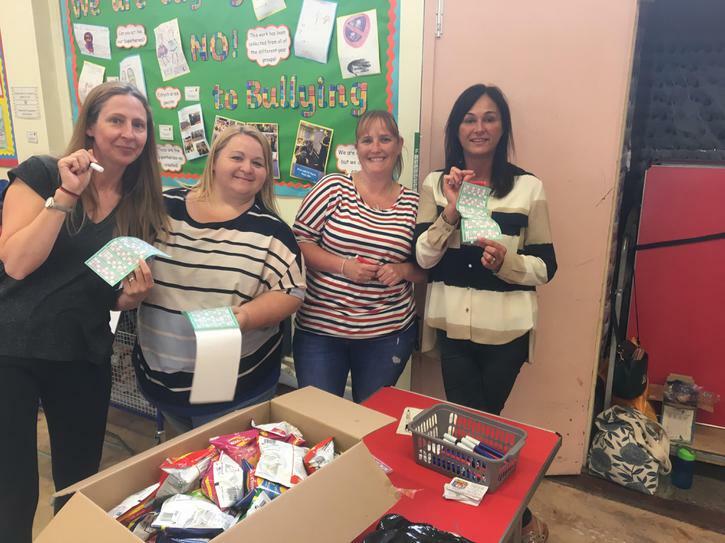 We raised around £150 which will be added to the PA funds pot and used on projects in school which will directly benefit our children. 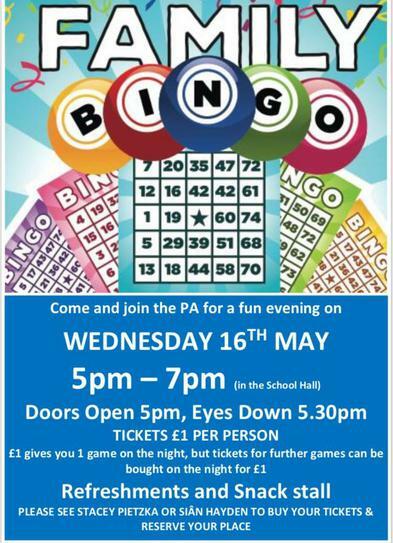 We will be running further BINGO NIGHTS, so please check this page and the 'Parent Information Area' on the hall window for details.